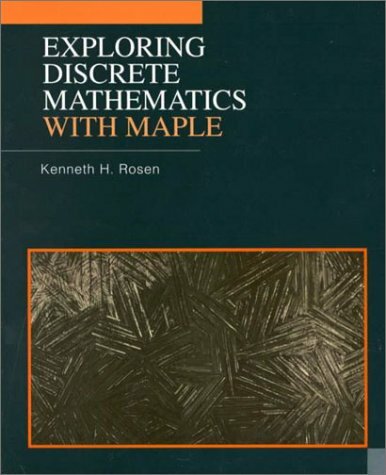 This is a guide to help you explore concepts in discrete mathematics using the computer system Maple. The book is designed to be accessible to those who are complete novices with Maple and with computer programming, but it has much to offer even experts. In this review, the authors present the emergent field of temporal networks, and discuss methods for analyzing topological and temporal structure and models for elucidating their relation to the behavior of dynamic systems. This is the book on a newly emerging field of discrete differential geometry. It surveys the fascinating connections between discrete models in differential geometry and complex analysis, integrable systems and applications in computer graphics. This book was written to be used as the primary text for introduction to proof, as well as an introduction to topics in discrete mathematics. Contents: Counting; Sequences; Symbolic Logic and Proofs; Graph Theory; Generating Functions; and more.